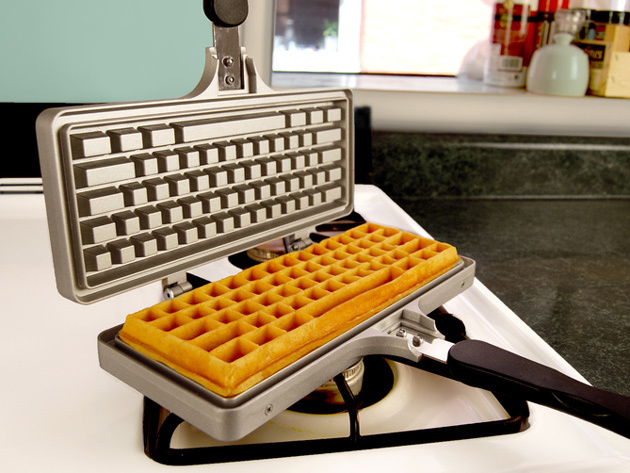 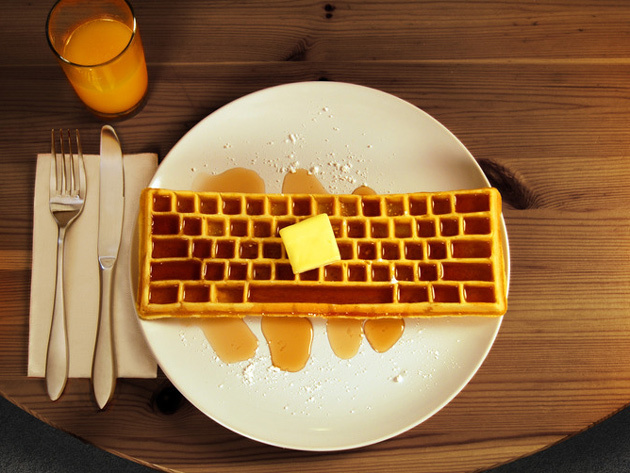 The Keyboard Waffle Iron is a special die-cast aluminum waffle iron for making computer keyboard-shaped waffles. 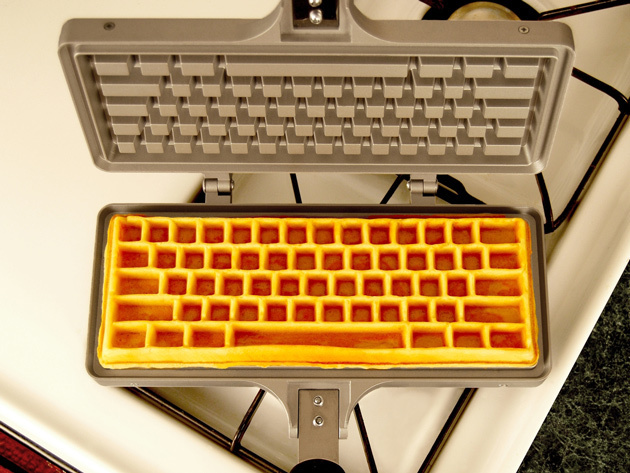 The resulting waffles are wireless and feature different sized key-shaped dimples including a large space bar capable of holding significantly more syrup and butter than an average waffle dimple. 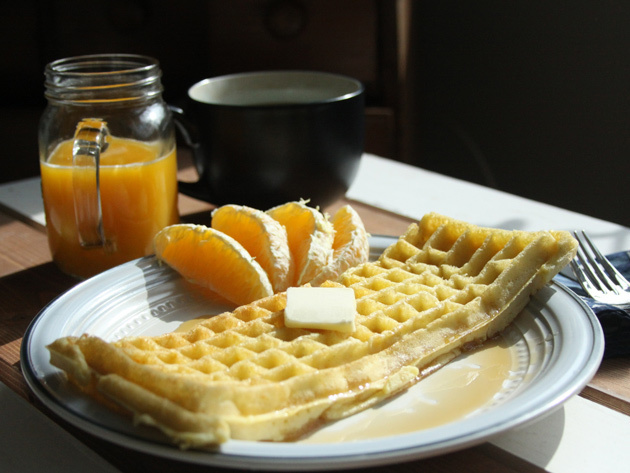 The iron itself features a non-stick and easy to clean surface and comes with a digital waffle cookbook that includes vegan and gluten-free options.